This single sensor auto-top-up unit allows you to maintain a constant water level in your salt or freshwater aquarium. 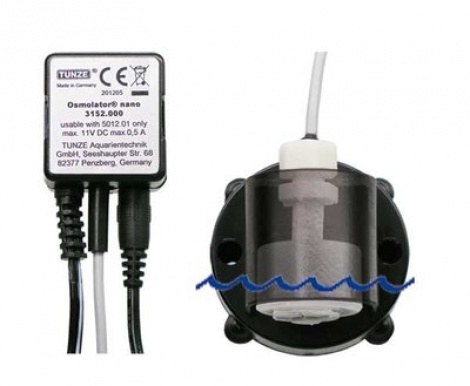 Equipped with a processor based controller to protect you from accidental overdose, the Tunze Nano Osmolator is an essential tool for maintaining constant water levels to prevent fluctuations in salinity and filter/protein skimmer performance which can prove harmful in smaller aquariums. TMC is an authorised Tunze Australia dealer and all manufacturers warranties apply.